Home > Deals, Technology	> Twitter Deal Alert! SanDisk Sansa Clip+ 1.0″ White 4GB MP3 Player is $24.99 on Newegg.Com! Twitter Deal Alert! 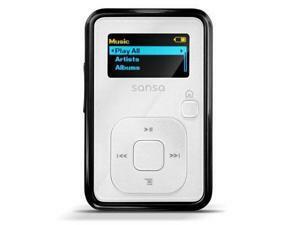 SanDisk Sansa Clip+ 1.0″ White 4GB MP3 Player is $24.99 on Newegg.Com! Oh hey, here’s a good deal for those looking for MP3 players for audiobooks. Grab the SanDisk Sansa Clip+ 1.0″ White 4GB MP3 Player for just $24.99 (List price of $50, and best lowest price I saw previously was $28 from BestBuy)! * Yes, it’s just 4GB, but memory is expandable via microSD and microSDHC memory card slots! Sears Black Friday Deals – With Daily Doorbusters are Up! Black Friday Deals on Newegg!